Scouting Notes: Armstead is an exciting player to watch. He bursts out of line with aplomb like he was just shot out of a cannon, before plowing headlong down the field. His feet get high on every step, and perhaps that’s one of his strongest attributes – his quick feet for a big guy. Armstead is a violent runner, but he stays on balance most of the time despite that fact, falling forward at the end of his runs. I’m a little unsure of his hands as he wasn’t asked to catch many passes at Temple, and that’s one of the skills we’ll look for at the Senior Bowl. The biggest flaw in Armstead’s game is his inability to stay on the field. Injuries plagued his college career, and that’s a harbinger of doom for young players coming to the NFL. 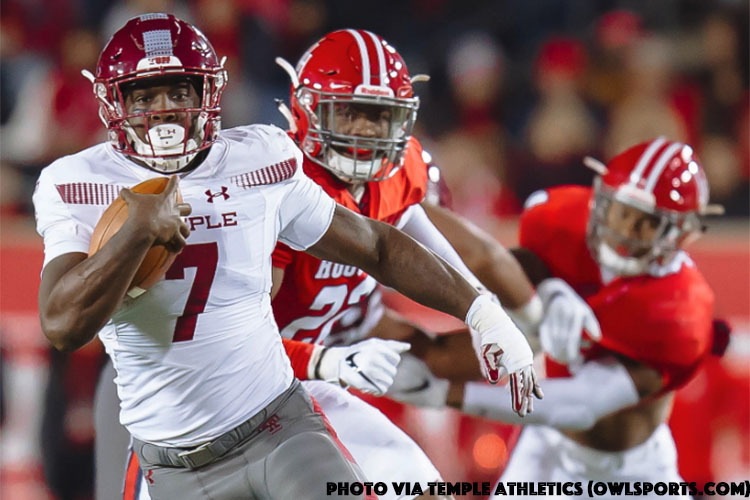 He’s a baller and a natural football player who was actually used on defense in Temple’s “prowler” package which featured him as a dime linebacker. Even in this role, he was effective, showing a nose for the football and excellent sideline-to-sideline speed at the position. Every special teams coach in the league will get fired up watching the versatility and toughness Armstead shows on film. Fantasy Outlook: Armstead’s extensive injury history will undoubtedly cast a shadow on his draft potential, but he’s a strong, two-down zone runner who can fit well for a lot of teams. He’ll go in the later rounds, barring a really elite Senior Bowl and/or Combine showing. He’s not expected to have blazing speed, but his feet and prototypical body type, that will easily allow for extra muscle, should keep teams interested. His college coaches have also praised his competitive spirit, which I’m sure he’ll bring with him into whatever situation he lands in come April. Personal: Born Ryquell Keeman Armstead (pronounced: ra-KWELL) in Bridgeton, N.J. … parents are Tara Armstead and Rynell Lawrence … has a sister Rachell Armstead (20) – a hurdler on the Temple track field team – and brother Rynell Lawrence Jr. (17) … list of favorites include: SportsCenter (TV show), The Replacements (movie), and tacos (food) … adult and organizational development major. Ha- eyak, I expect people will get a little more going once the senior bowl and combine hit – kind of an in-between time now, brother!! we always appreciate you. I know. This is just my favorite time of the year. Draft season is the best! It’s all us Lions fans have to look forward to. I love the Rookie Spotlights! Great info. 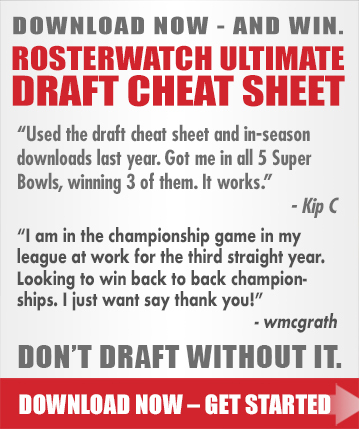 Yessir, we’ll keep all of them in the Rookies section and will add to them through the process with information from all of us. Where is the best place to post dynasty questions? I was thinking Phillip Lindsay is a possible sell high candidate. Do you agree? If so what type of package would be looking for? A particular team in my league has a nice amount of picks plus guys like Desean Hamilton, Chris Godwin, and Ronald Jones that I have varying degrees of interest in.